For many of us, how we make our living is tightly woven into who we are. One of the first things people ask us when they meet us is “What do you do?” because how we choose to make a living offers people clues into many other aspects of our identity, including our values, skills and interests. In inner exploration we discover that what we do is not who we are, yet the Buddha acknowledged the importance of our work life. It is the action we do all day for most of the days of our adult lives, so our work needs to be Right Action if we are to free ourselves and others from suffering. This is called Right Livelihood. On the surface Right Livelihood seems pretty straightforward. The Buddhist sutras offer guidance on the kind of jobs that cause suffering, and if we adhere to them we should be set in this department. Check this one off our list! But as we explore this aspect of the Eightfold Path, we find that it is just as tricky and deep as Right Speech or Right Action because it has multiple aspects. The first and most obvious aspects is to choose a job that is in keeping with our deepest values so that we are not fighting inner battles every time we go to work. I worked for a decade in advertising. The better I got at my job the more insidious it seemed. I realized that I was learning how to trade on people’s fears. In essence every ad ever written says,’ Without this wonderful product you will be less.’ Less attractive, less happy, less safe, less productive, less appreciated. Just less. A real dukkha making job! I refused to write advertising copy for products or companies I didn’t believe in. I remember saying no way to a liposuction client. I had my limits! But even if every word I wrote was true, it didn’t feel like Right Livelihood to me. By the end of the decade I wrote an eight page harangue about how advertising was the root of all evil. I may have gotten a little carried away, but clearly it was not the profession for me. I remember at one point saying to a co-worker, ‘I feel totally separate from myself.’ That would have been a nice clue to have heeded, instead of just laughing it off as a strange sensation. What my inner wisdom was trying to tell me was that I was being untrue to my own core set of values, as well as struggling to be the role I thought I should play. I didn’t quit. In many ways I liked my job. It was often fun and creative, I enjoyed my coworkers, I was helping to support my family and secure our future. But finally my body spoke up. Illness as messenger. I came down with CFIDS (chronic fatigue immune dysfunction syndrome). I write about this more in my book Tapping the Wisdom Within, so I won’t go into it here, except to say that I hope others in a similar position won’t wait for an illness to force them to quit a job that makes them feel ‘separate’ from themselves. – Refrain from killing or harming other beings. – Take only what is freely given, refrain from stealing, exploiting or deceiving. – Refrain from misusing of our sexuality. – Maintain clarity of mind by avoiding intoxicants. And we have the Buddhist sutras that add a few specifics: It is not Right Livelihood to deal in arms, slaves, meat, alcohol, drugs or poisons, or in making prophecies or telling fortunes. If you do none of the above, hooray! But we need to delve a little further. If we work for a company, we need to make sure that it adheres to the precepts as well. If we work for a large corporation, this is challenging, as corporations are legally required to make as much profit as possible for their shareholders. Between what is legal and what is ethical from the point of view of the Buddhist precepts, there is a lot of wiggle room. So we need to do some research about our own company, because our job is intrinsically entwined. Now if our company is not, in our view, living up to ethical standards, we have the choice of leaving or of staying and trying to change the ethical culture. But if we want to end the suffering of ourselves and others, we don’t get to say “Just doing my job, it doesn’t have anything to do with me.” Right View, that vaster vantage point in which we sense our connection to all that is, precludes pretending that we are somehow separate in all this and therefore not culpable. So, say you’ve chosen a profession that is Right Livelihood, your company is highly ethical – yay! Now there is the way in which we do our job to consider. Bringing all the aspects of the Eightfold Path and the Five Precepts to bear on our interactions with co-workers, clients, patients, customers, suppliers, etc. means bringing loving kindness into every interaction. As always we start that loving kindness with ourselves, so we are not beating ourselves up all day every day. Then we send metta to each person we meet, each email we send, each voice we hear on the phone. When we act as a conduit for infinite radiant metta (loving kindness) we transform our own experience and the experience of those around us. This is powerful stuff. In fact, power as usually perceived in the workplace – who gets to boss whom, who gets the fanciest title, the corner office, the most money and best perks – that kind of power pales in comparison to the empowerment of infinite metta. Think about it: The supposed result of all that power and perks is happiness. But being a conduit of metta brings immediate, expansive and true happiness. The other is just fool’s gold. Some perk! All right, you’ve chosen a profession that is Right Livelihood, your company is highly ethical, and you bring loving kindness into your interactions at work. So now you can check Right Livelihood off your to do list, right? Well, not so fast! Because Right Livelihood isn’t only about how we make our living but how we, by our behavior in the marketplace, set other people up to make their livings! If we don’t make our living by killing animals but we benefit by others doing so, i.e. we eat meat, poultry or fish, then that is not Right Livelihood. We are contributing to the harm, both to the beings who are killed and to the person we are encouraging to do the killing – i.e. letting other people do our dirty work for us. If we raise crops using chemicals that poison the environment, that is clearly not Right Livelihood. But if we knowingly purchase those crops we are also culpable, because we are helping to create a market where it is not commercially viable for a farmer to cease using those chemicals. If we employ people at wages that leave them and their families hungry and at risk, then obviously that isn’t Right Livelihood. But if we purchase the products produced by manufacturers who treat their workers poorly, then we are also culpable. And then once we make a purchase, we are responsible for it. If we dispose of it in a manner that harms the earth, that is not Right Livelihood either. As an investor, Right Livelihood asks us to investigate thoroughly what exactly we are using our money to support when we buy stock. So Right Livelihood takes into account not just how we earn a paycheck but how we interact in the marketplace. It takes into account every person whose life is touched by our interaction, and the very earth as well. Now this is a lot of responsibility! By this time in my dharma talk my students were ready to join a monastery in order to avoid all these complicated pitfalls! Stop and notice if you are feeling in your body any sense of burden or exhaustion. 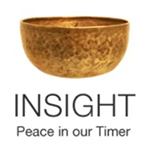 Perhaps you feel Right Livelihood is impossible, given that as consumers we are not often given enough information to make wise choices, and the thought of having to do the level of research required to do so. So what do we do? We do the best we can. That’s going to be different for each of us at different times in our lives. But keep in mind that Right Livelihood is a guidepost on the Eightfold Path that lights our way to liberation, the ending of our own suffering. When we are suffering, we can look to it and see if any of our actions are causing this suffering. We might experience this suffering as being at odds with our true selves, having developed a schism between what we believe and what we do. At that point it becomes less painful to change our actions than to continue to suffer the schism. We just want to be done with the ongoing inner battle, and come into a sense of integrity, wholeness. When we access Right View and see our deep interconnectedness, then we really get how we harm ourselves when we harm workers on the other side of the world by supporting the industry that oppresses them — when all we thought we were doing was getting a great deal on a cute shirt! Living in that place where our actions and our values are not aligned is uncomfortable. I know this from experience. The process is ongoing. It starts with noticing not just our actions but the excuses we make for our actions, and in the process of observing with great compassion, we may begin to observe a shift. This shift into a more connected sense of non-harming, where we take responsibility for our actions in a more joyous way and let go of the punishing, sacrificing mentality we had thought would be necessary, is a lovely gateway to liberation. But it doesn’t happen overnight. If we beat ourselves up about it we slow the process and squelch the possibility of truly coming into alignment. Once we come into some sense of alignment, it’s important to continue to be mindful, noticing our thoughts and actions. We may become unskillful in a different way, developing a sense of purity around this, vowing that from this day forth we will live in perfect Right Livelihood, and make it our mission that others do the same. All we can expect from such action is misery in our ambition, our striving and our failures; as well as misery for those around us who will tire mighty quickly of any proselytizing we do in our new conversion. As the Buddha did, we find the Middle Way. This is not the half-hearted way, mind you, and certainly not the half-assed way! This is the way full of mindfulness and compassion for ourselves and others. When we allow this awareness to unfold gently and with Right Effort, we create joy and ease, and, to the best of our abilities, Right Livelihood. This entry was posted in compassion, http://schemas.google.com/blogger/2008/kind#post, loving kindness, Right Livelihood, work on April 8, 2009 by Stephanie Noble.